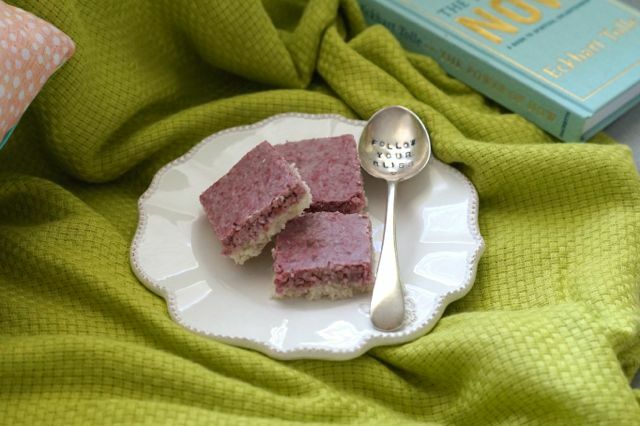 We love this Paleo Coconut Ice recipe! It’s probably the easiest darned thing you’ll ever make! Perfect for a Paleo Christmas and perfect for festive pressies (remember, the best kind of gifts can be eaten!). We used rice malt syrup in this recipe to sweeten it but you could definitely swap it for raw honey or coconut sugar! 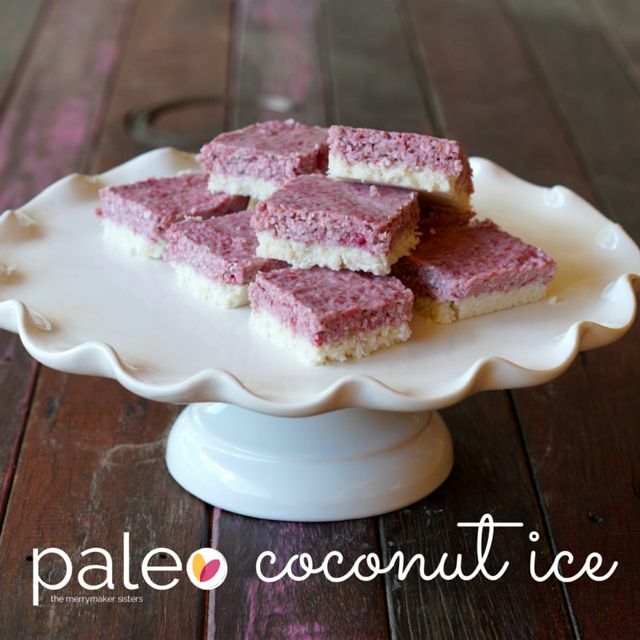 Take your pick and enjoy a piece of paleo coconut ice! In a saucepan over low heat place the coconut oil, coconut milk, rice malt syrup and vanilla. Stir until melted and combined. Remove from heat and combine with desiccated coconut in a separate bowl. Press half the mixture into the prepared tin and place into the freezer. Leave in the freezer until just firm. Take the tin out of the freezer and press the pink mixture on top of the white. Place back into the freezer until firm (about 30 minutes).